If you've heard a lot of buzz about MyPoints, but aren't sure what it is or how it works, then you're in luck. Here's a quick overview of the MyPoints program. MyPoints is a that gives you points for reading e-mails, shopping, taking surveys, doing web searches, and completing a variety of other business-centric activities. Once you accrue enough points, you can redeem them for a to your choice of over 75 merchants. To join MyPoints, just visit and complete the registration process. Membership is free, and it only takes a few minutes to join. There are a lot of ways to earn points on MyPoints. Start by completing your profile and you'll earn 60 points. Then, explore the site's offerings to find other points-earning opportunities that interest you. Sign up to receive BonusMail emails from MyPoints. These are promotional offers from MyPoints' advertisers. You'll receive five points for just clicking on the link contained in the e-mail, and more points if you decide to take advantage of the offer. Before you place an order online, check to see if the merchant is a MyPoints participant. If they are, access the merchant's website from MyPoints.com, and you'll be rewarded with points. Complete the that are sent to by email. You'll typically receive 10 points if you don't qualify for the survey and 50 points if you do. Print coupons from the website. You'll earn 10 points for each coupon you redeem and 25 bonus points if you redeem 10 or more coupons in a month. Download the MyPoints search toolbar, and earn points each time you use it to do a web search. Refer a friend, and you'll earn 25 points if they join, plus 10 percent of the total points your referral earns. Be on the lookout for double points days, instant win games, and other special promotions that escalate your points earnings. You may find your biggest challenge when redeeming your points is deciding which gift card to choose because the list is so extensive. Click on the rewards tab at the top of the screen to view a list of all of the available gift cards. You'll find $10, $25, $50, and $100 cards on the list. You can save up your points for something big or cash in quickly for a small reward. Once you have enough points for your chosen reward, just click on it, fill out your shipping information, and you'll receive your gift card in the mail in two to six weeks. A $10 gift card to one store may go for 1,600 points, while a $10 gift card to another store goes for 1,700 points. Make the most of your earnings by finding the deals that maximize the value of your points. 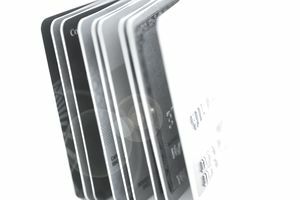 It's also worth noting that certain card amounts may be a better deal than other card amounts from the same merchant. For example, the $50 card may require fewer points per dollar than the $10 CVS card. The best way to tackle this dilemma is to crunch the numbers and unearth the best deals. While MyPoints is a great program, there are a few things to watch out for. If you opt to receive BonusMail emails, always scroll down to the bottom of the email to see if there is an option to unsubscribe from direct emails from the advertiser. If an option exists, choose to unsubscribe to avoid receiving any junk mail. It's also advisable to skip the surveys that are posted directly on the website. These are usually designed to sell you a bunch of products and services bundled together and are not worth the hassle.